Chloe was trying hard to be patient. But when you have seven siblings, it takes almost forever for it to be your turn to go to MomMom and PopPop’s house. She was even willing to allow her little brother to come along for the weekend. And, she came with a request. 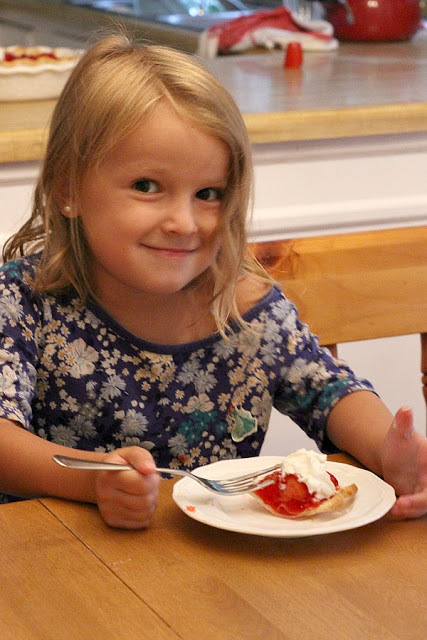 She wanted to bake a Strawberry Pie. 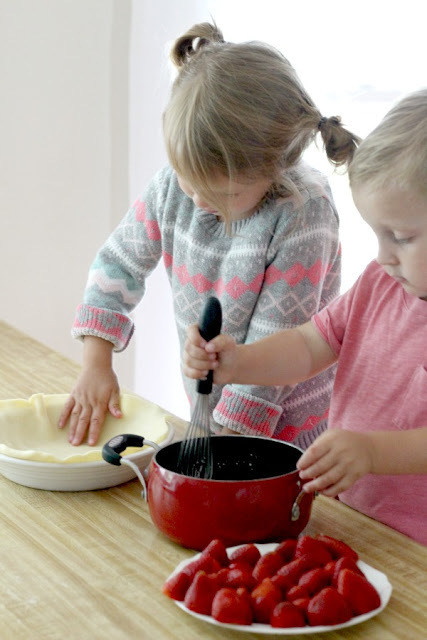 So, in addition to going to dinner, a visit to Dunkin’ Donuts for breakfast, strawberry milk, playing with vintage Barbies, making Pizza Toast with PopPop, watching a movie while eating popcorn and bubble baths, we managed to bake a pie. Strawberry Pie is filled with berries in a sweet jello glaze and best topped with whipped cream. 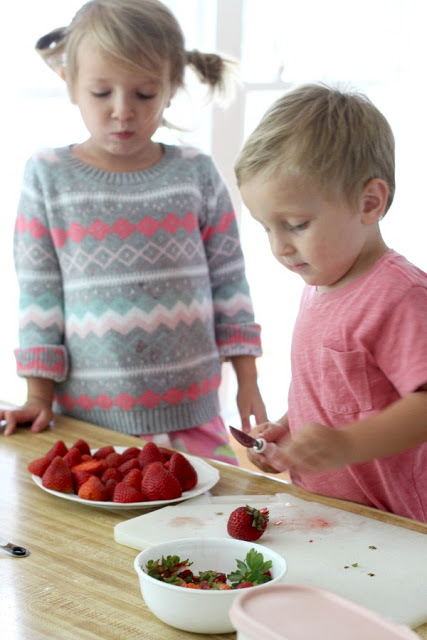 Using a butter knife, Chloe and Jethro were able to cut the tops from the strawberries all by themselves. 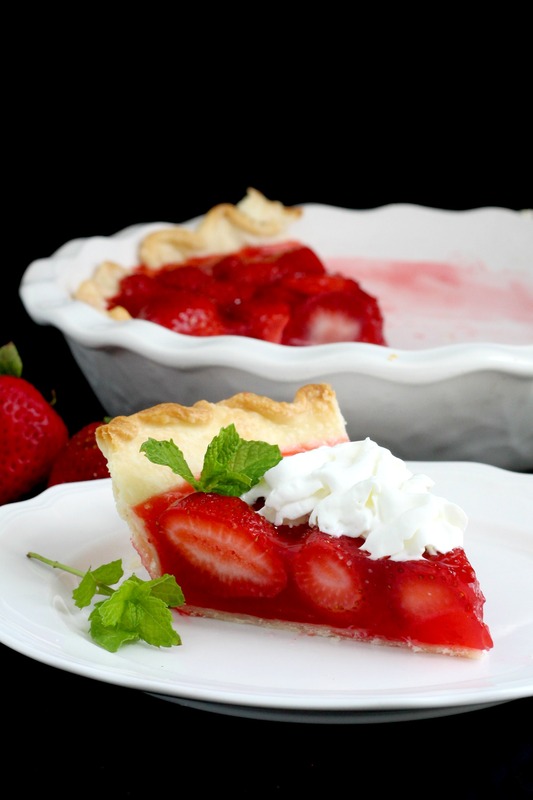 Usually I cut the strawberries into slices for this pie, but keeping them whole is fine too. After the berries are trimmed and cut, it is time to get to the glaze by combining the water, cornstarch and sugar in a saucepan. Measuring and pouring is a fun part for little ones. Refrigerated pie crust are perfect here. Easy, a time saver, no mess and they taste great. 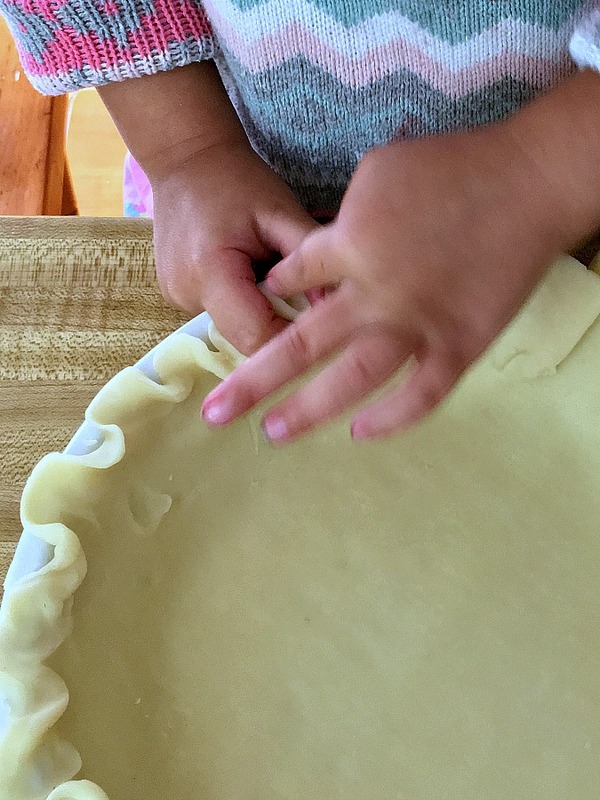 With a little instruction, Chloe learned to crimp the edges of the pie crust. Bake the crust and allow to cool before filling with the strawberries. Usually I would allow the kids to stand and stir at the stove but this time I did the cooking. 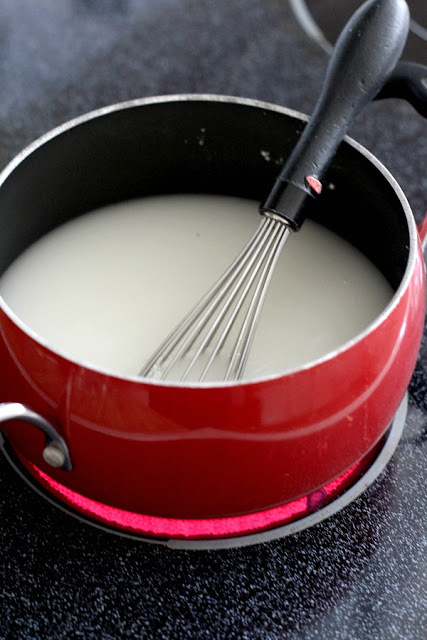 It only takes a few minutes to bring the mixture to a boil and cook until thickened. After pouring in the jello, the mixture is whisked until completely combined. 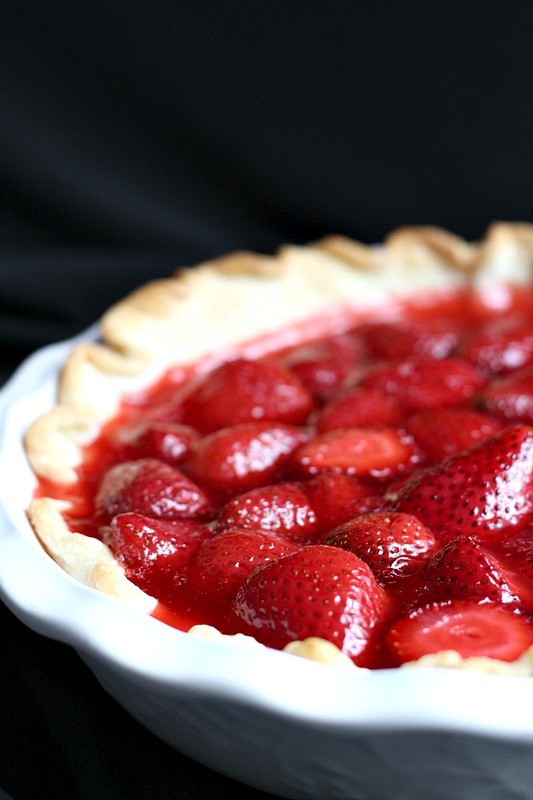 Pour the hot mixture over the strawberries in the baked and cooled pie crust. Cool a little and then place in the refrigerator to cool completely and gel. Their pie is finally cooled and thickened. 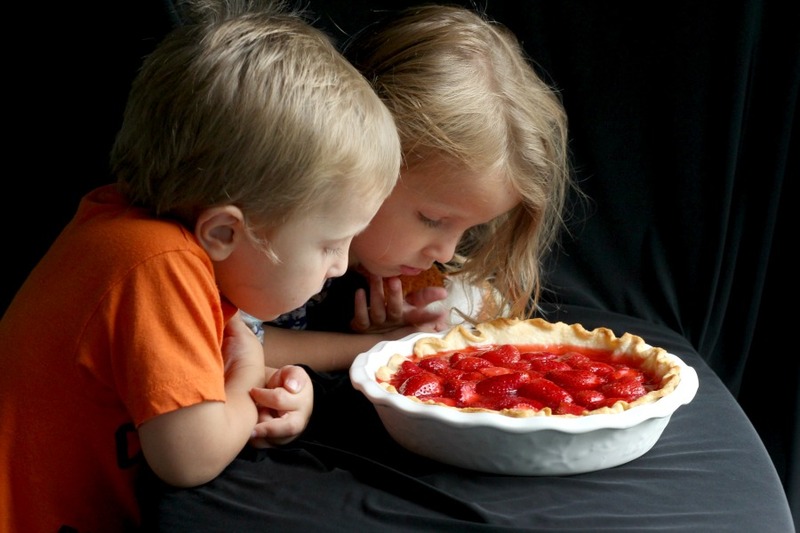 I had to laugh when I found these two staring intently at the strawberry pie they made just waiting to taste it. After baths and fresh jammies, it was finally time for dessert. Chloe was pretty pleased with the results. If your family likes jello and strawberries, I think they will love this dessert! Pre-baked and cooled pie shell. 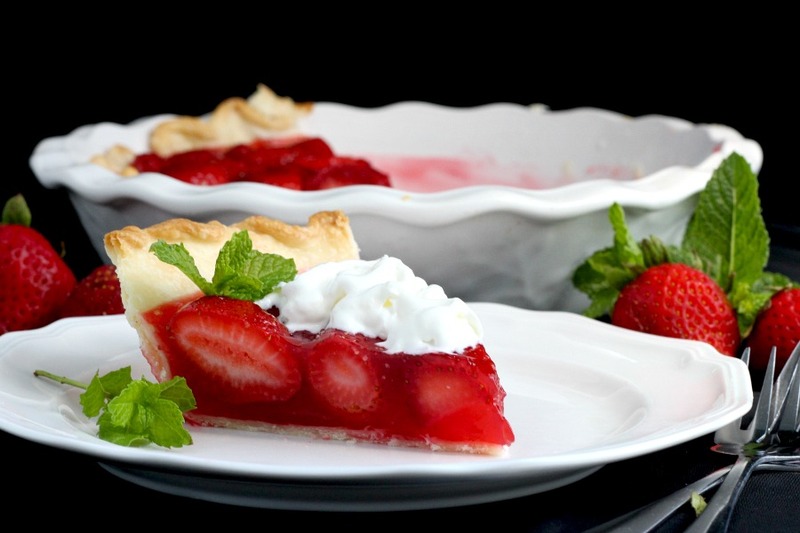 Line the bottom of the pre-baked and cooled pie crust with the sliced strawberries. 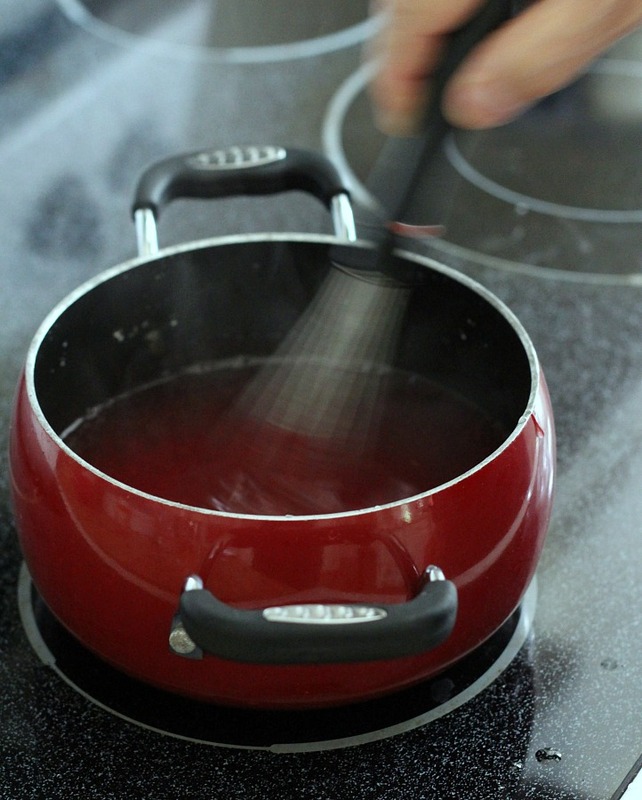 Combine cornstarch, sugar and water in small saucepan. Bring to a boil and simmer, stirring constantly, until thickened. Add the Jell-O and stir until dissolved. 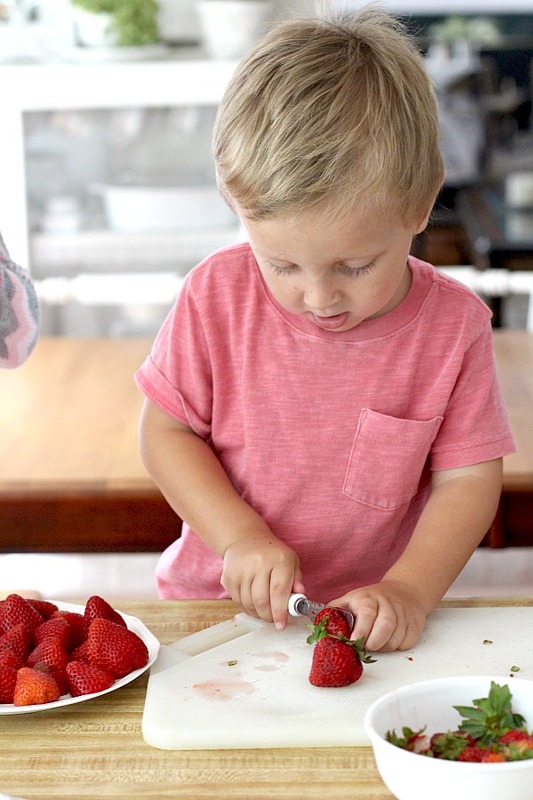 Pour over the strawberries and refrigerate until set. That pie does look delicious! 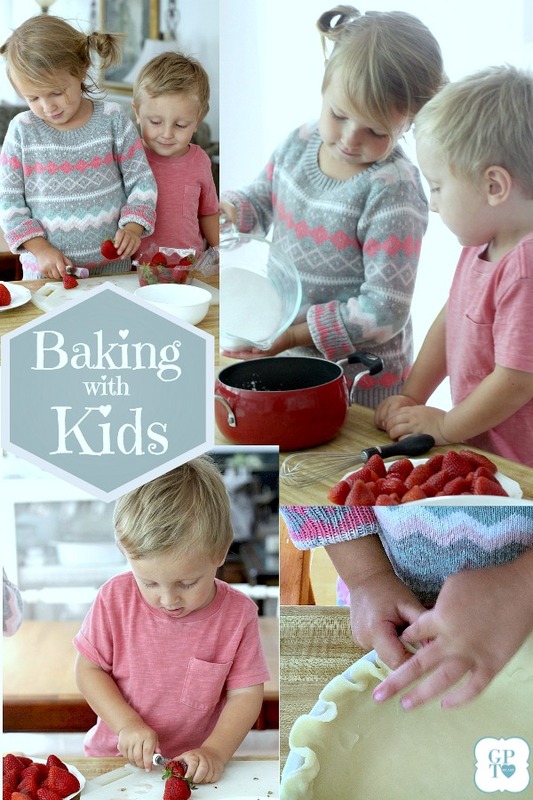 Those grands are so adorable and did an excellent job; I never would have thought of giving them a butter knife to use. Great idea. Love the recipe too. I wouldn't mind coming over if there is a free turn. This looks delicious. And fun. This is one of my sweetheart's favorite pies. My dear, little mother's aunt introduced us to it many years ago and we wait for strawberry season to come around so we can enjoy it once again. What fun for your littles to make a pie! 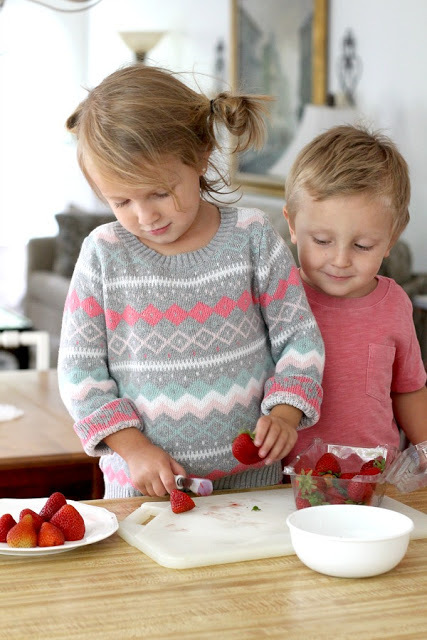 They are so cute and I love their technique – always taste the fruit before you prepare to serve it! The pie looks delicious. 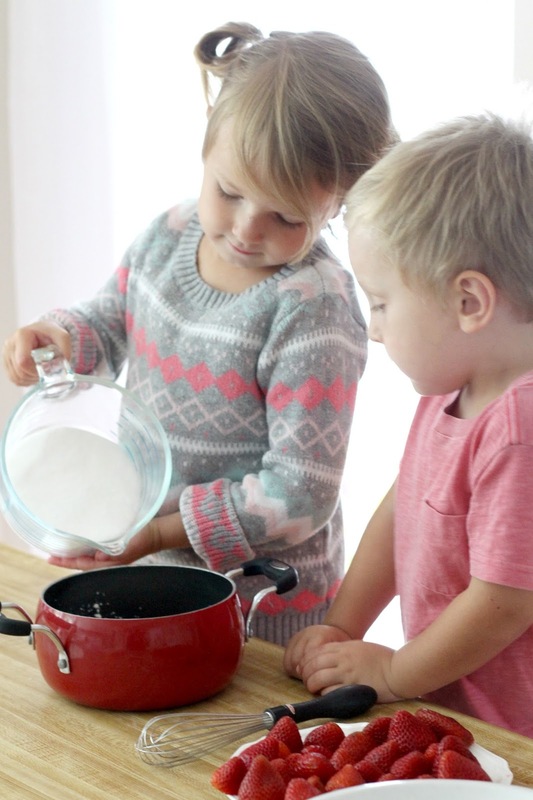 The little bakers are adorable and they did such a good job.